Ryan Kennedy has accepted a personal challenge. To complete 35 Spartan Race events. To accomplish this journey, he will climb mountains while carrying 40lb sand bags, crawl under miles of barbed wire, collectively run more then 300 miles of incline, and climb over hundreds of walls. Completing this journey would not be possible without clean water, which is why Ryan is raising $25,000 towards clean water efforts. 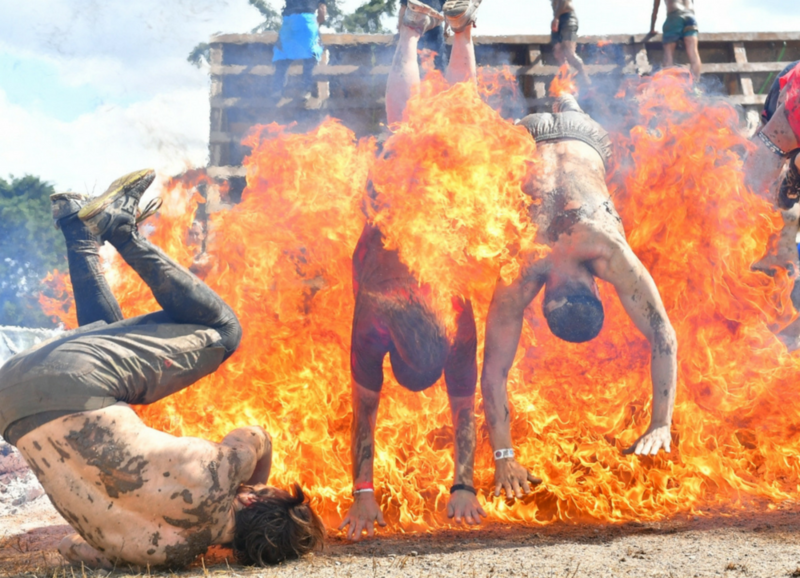 Each race incorporate one obstacle that you have to jump over fire. Barbed wire crawls are a must at any spartan race. Water, mud, and rope are a reoccurring theme at spartan races. The most iconic obstacle is the spartan spear throw. Don’t miss! Or you will have to do 15 burpees. Different obstacles involve carrying heavy stones, sandbags, gravel, or water. The Spartan Race series are obstacle races of varying distance and difficulty, ranging from 3 miles to ultra marathons. Each race includes challenging obstacles and varying degrees of elevation to test participants physical and mental grit. To reoccurring participants, it is much more then an “obstacle race.” Participants can compete in 42 different countries, push themselves pass their comfort zone, and become part of community inspired by motivation, devotion, and perseverance. Spartan Races have given his training more purpose and helping him discover a new “why?” He is always moving forward, motivating others to act, and learning on the way. Last year he accomplished milestones in the Spartan World by completing 4 trifectas (1 trifecta is completing a 3 mile, 8 mile, and 13 mile event in one year), multiple ultra marathon distances, and one 24 hour event. He is putting himself through a rigorous test this Spartan Season as he doubles up on the amount of events. In any physically demanding activity, clean water is necessary. It cools down the body, keeps you hydrated, and helps avoid muscle failure. Imagine completing a Spartan Race without any clean water? And the only water that is available would make you sick. Ryan realized the activities he loves to do would not be possible without clean water. Unlock different rewards with the amount you donate. All tier articles and guides have been created by Ryan. Ryan has the goal of raising $25,000 for Clean Water. He has currently raised $500. Visit below to learn about each individual race, how they went, and the challenges Ryan faced during each race. The season begins at Greek Peak Mountain Resort for a cold-hearted winter race in snow packed central New York. With a record breaking snow season, this race will surely challenge everyone. Ryan will run and jump through bleachers and obstacles in the New York Met’s stadium. Stadium spartan races tend to be flatter or more fast passed but Ryan will uniquely challenge himself by trying to complete the 3+ mile course three times. Day 1, Ryan will climb the 1,450ft tall mountain in a brutal 30+ miles Ultramarathon. The next day he will push through the pains of the 50k for a spartan beast (13+ miles). Races at ski mountains mean steep climbs, heavy carries, and unpredictable weather. Don’t let the term sprint mislead you. This will be one of the muddiest and wettest courses Spartan race series has developed for the northeast. Will completing three laps be a challenge for Ryan, lets find out. This venue, the Maryland International Raceway, is usually only reserved for racecars but for this date will be used by a more powerful machine, Ryan Kennedy. Don’t let the raceway confuse you, there will be hills and a lot of tire flipping. Considered by many veteran Spartans, this is one of the most challenging courses. Blue Mountain Resort presents dense forests, challenging obstacles, and long climbs carrying heavy things. Ryan wants to do the course 3 times in one weekend. 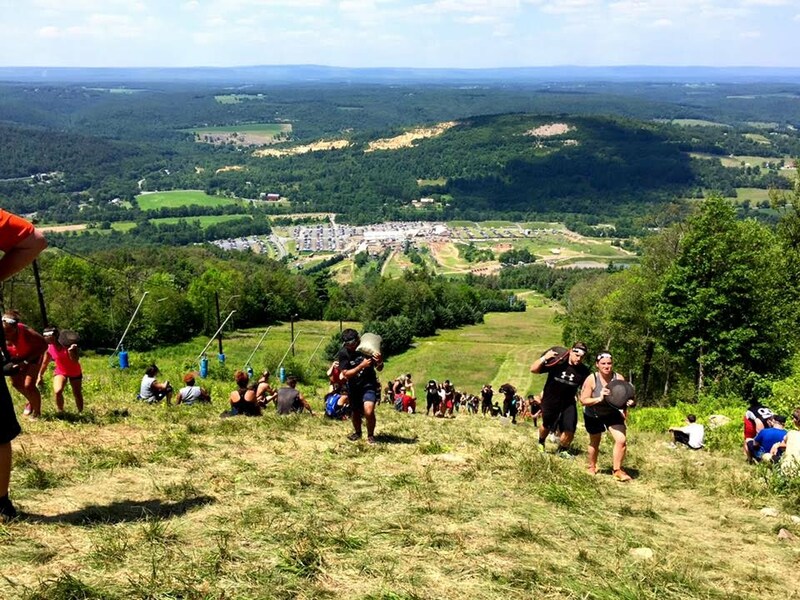 With two races scheduled this weekend, Ryan will climb some of the east coasts tallest mountains, scramble up granite fields, and experience a unique challenge all elite Spartans have trouble with. Ryan will revisit this thousand acre venue of technical terrain. This area is described as “New England’s Playground,” attracting many outdoor sports including Spartan warriors. Will completing 20+ miles challenge Ryan? Ryan has the plans of completing 3 events in the 10,000+ acres of Summit Bechtel Reserve in West Virginia. Considered an absolute destination for all Spartans, will the rolling hills and mountains pose a threat to Ryan’s adventure goal? Killington poses a challenge to anyone. Definitely Ryan, who will complete an Ultra Marathon on Day 1 and a half marathon on day 2. Massive climbs, frigid swims, and hard terrain are a few of the experiences to overcome. Will a 50+ mile weekend stop Ryan? Stadium sprints are fast paces races that will test speed and mobility. Citizens Bank stadium is famous for its never ending tunnels and bleacher climbs. Ryan will complete 3 laps in the 40,000 person stadium. What was home to the 1960 Olympic Winter Games will also be home to the Spartan World Championships. Participants reach up to 9,000ft posing a unique threat to Spartans lungs and legs. How will Ryan do against some of the best athletes in the world? Two things are certain for this course on New Jersey’s tallest ski mountain, lots of mountain climbs and obstacles. With close to 25 miles planned, Ryan will endure barbed wire, rope climbs, and heavy carries. It all comes down to this. In Sweden, Ryan will complete the ultimate endurance race. For 24 hours, he will complete a race covered in rocks, ice, obstacles, and little sunlight. See what attracts endurance runners from all over the world. The last event for Ryan’s spartan season will be in a beautiful nature restoration in Long Island. What is meant for peace and tranquility will be flipped to a heavily wooded and technical course. Let’s see Ryan finish the season with a bang.